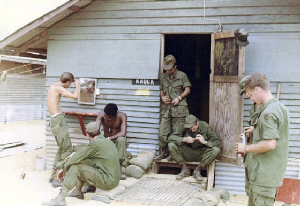 Outside the Ky Ha Officer's Mess / Bar / Club. 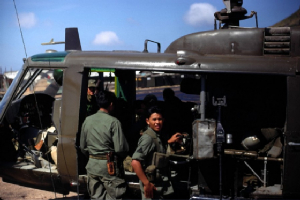 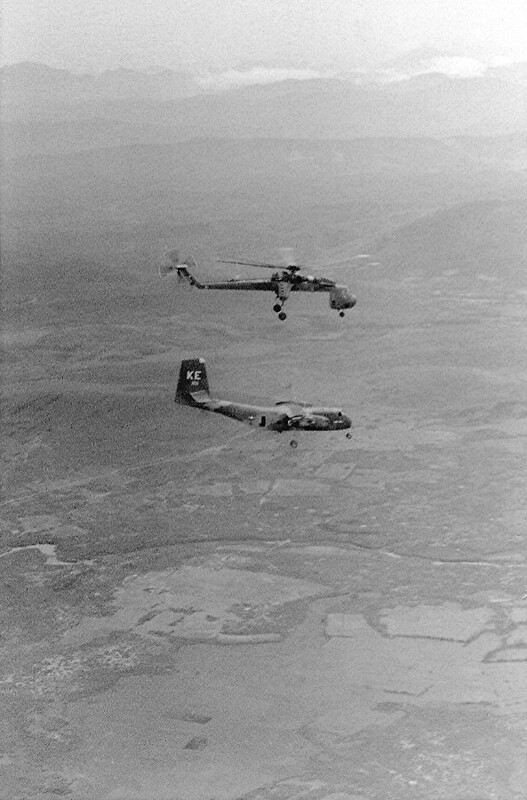 Was shot down West of Duc Pho. 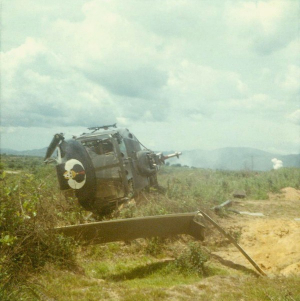 The crewchief pulled him to safety but his gunner never made it out. 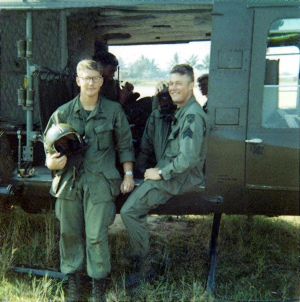 Jim Bridges & Alan "Dan" Danforth, 1969. 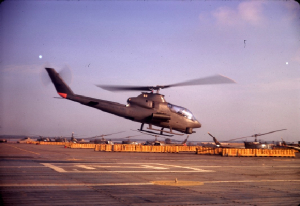 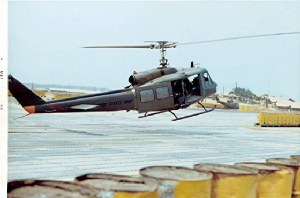 UH-1H 67-17782 - tail rotor failure. 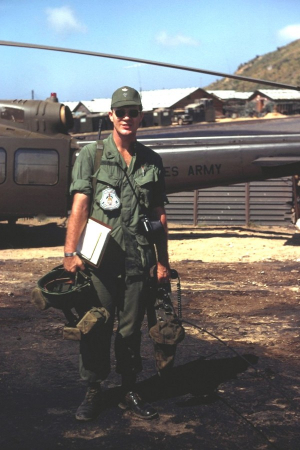 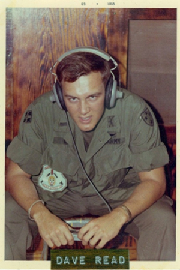 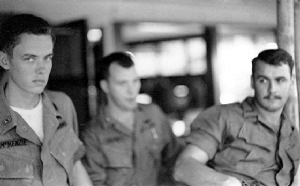 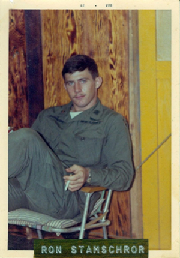 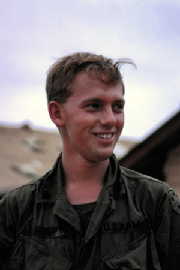 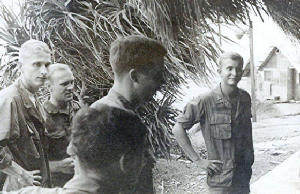 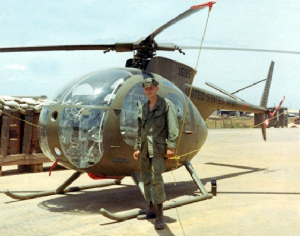 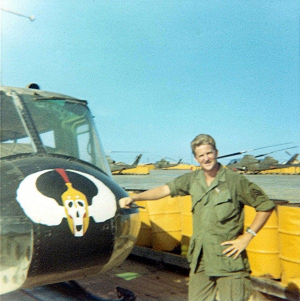 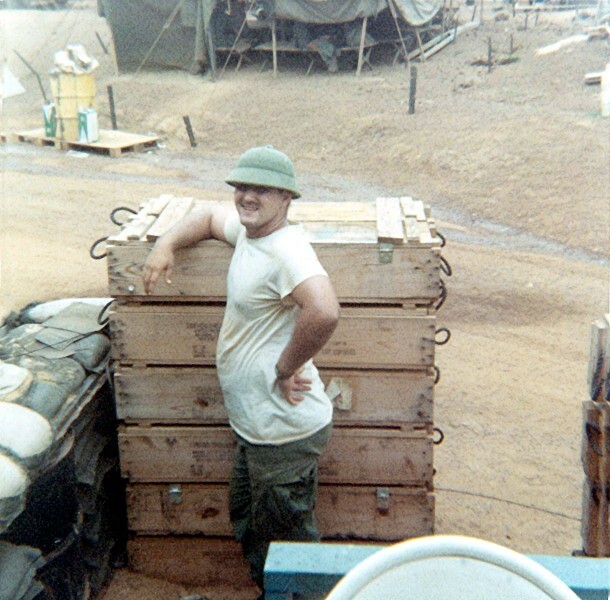 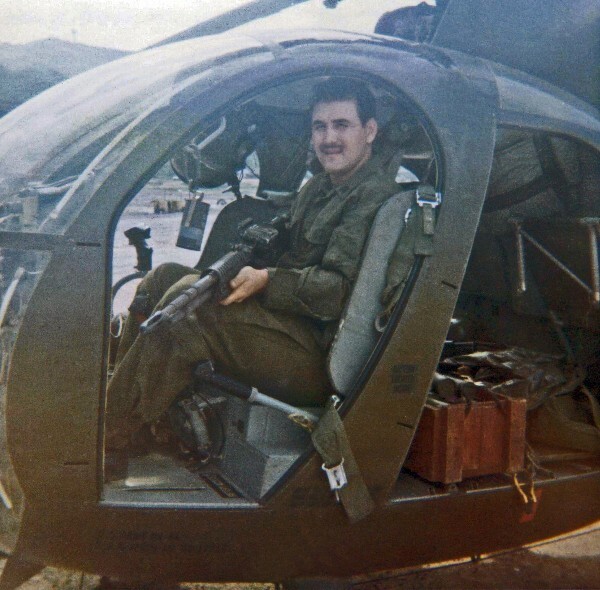 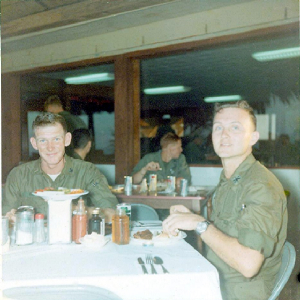 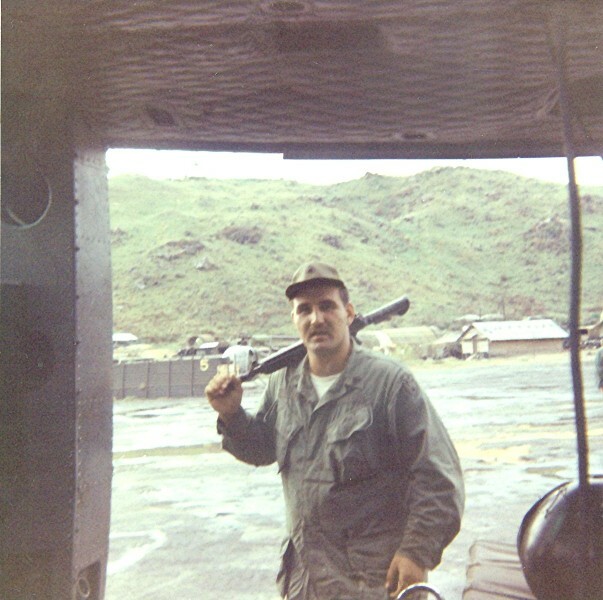 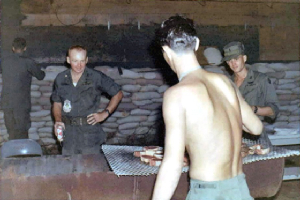 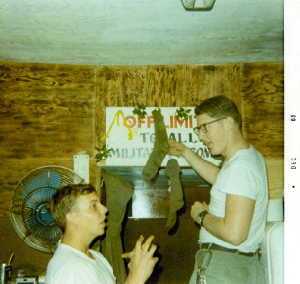 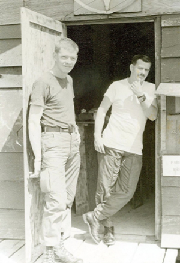 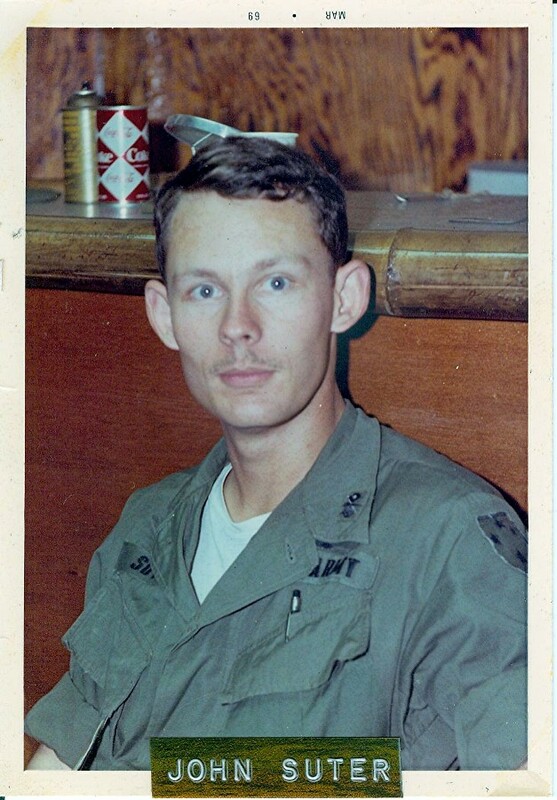 Lt Suter AIC, just West of Duc Pho, 06/19/69, all survived.